The fact that a 19-year-old American citizen was one of the dead — among those whom the report concluded was “summarily executed” by the Israelis — makes the U.S. Government’s silence here all the more appalling. Greenwald: Why is UN Gaza flotilla report ignored? Pro-Palestinian Turks hold posters of American-Turkish citizen Furkan Dogan, who was killed in the May Israeli flotilla attack, at a protest in Ankara on July 24. Last week, the Office of the U.N. High Commissioner for Human Rights released a comprehensive report detailing its findings regarding the May, 2010, Israeli attack on the six-ship flotilla attempting to deliver humanitarian aid to Israel-blockaded Gaza. The report has been largely ignored in the American media despite the fact (or, more accurately: because) it found that much of the Israeli force used “was unnecessary, disproportionate, excessive and inappropriate and resulted in the wholly avoidable killing and maiming of a large number of civilian passengers”; that “at least six of the killings can be characterized as extra-legal, arbitrary and summary executions“; and that Israel violated numerous international human rights conventions, including the Fourth Geneva Conventions (see p. 38, para. 172). Needless to say, the Israeli Government — as it virtually always does when confronted with well-documented, official findings of its severe human rights violations — attacked the source, accusing the report of being “biased and distorted.” The U.N. investigators interviewed 112 witnesses and consulted with numerous forensic and medical experts, while Israel refused to speak with its investigators (though Israeli officials are cooperating with a separate group investigating the attack). There’s no reason to take the findings of this report as Gospel: like everything, it’s subject to reasonable dispute, but it’s clearly well-documented, consistent with documentary evidence and overwhelming witness tesitmony, and is entitled to be taken seriously. To this day, I’m still amazed by how the American media and U.S. Government responded to this incident, given the fact that it was painfully obvious from the start that the Israelis’ conduct was the behavior of a guilty party. The Israelis immediately seized all documentary evidence from the passengers showing what actually happened, blocked all media access to witnesses by detaining everyone on board (including journalists) for days, and then quickly released its own highly edited video — spliced to begin well into the middle of the Israeli attack — that was dutifully and unquestioningly shown over and over by the U.S. media to make it appear that the flotilla passengers were the first to become violent. That was a lie from the start, and it was an obvious lie. In no other situation would a party to a conflict who steals all of the evidence, withholds it from the world, and then selectively releases its own blatantly distorted, edited version of a fraction of the evidence be trusted. The opposite is true: that party would immediately be assumed to be guilty precisely because of that very behavior of obfuscation; that behavior is the behavior of a guilty party. But with Israel, the opposite happens (at least in the U.S.). The IDF video was shown over and over to propagnadize Americans into believing that the passengers were the first to engage in aggression, even though the video — and the Israelis’ withholding of all the rest of the evidence — begged the glaringly obvious question: what happened before the commandos descended onto the ship? Based on smuggled video and forensic evidence, this new report documents what countless flotilla witnesses tried to tell the world once they were finally released: “live ammunition was used from the helicopter onto the top deck prior to the descent of the soldiers” (p. 26; para. 114 — emphasis added). Last Wednesday night, I spoke at Brooklyn Law School on this event, and with me on the panel were Columbia University Professor Rashid Khalidi and Iranian-American lawyer Fatima Mohammadi, who was on the Mavi Marmara. I’m trying very hard to obtain the video of that event because Mohammadi’s narration of what happened — all documented by smuggled video from passengers’ cell phones — leaves little doubt as to who the guilty aggressors were here. I would really like as many people as possible to hear what she has to say and view the video evidence and make their own assessments as to her credibility and persuasiveness. Suffice to say, there is no doubt that the Israelis used force against the passengers long before the commandos descended onto the ship — which is precisely why Israel prevented the world from seeing any evidence showing what happened before the events in the IDF video, and why the U.N. Report so conclusively found Israel at fault. I’d be willing to venture that a tiny percentage of the American public, whose perceptions were shaped by American media coverage, have any clue that this is the case. The fact that a 19-year-old American citizen was one of the dead — among those whom the report concluded was “summarily executed” by the Israelis — makes the U.S. Government’s silence here all the more appalling. One of the prime duties of a government is to safeguard the welfare of its own citizens. It’s inconceivable for most governments in the world to remain silent in the face of formal findings that a foreign nation “summarily executed” one of its own citizens. One of the reasons Turkey was so emphatic in its condemnation of Israel was because the dead were Turkish citizens; that’s what governments do when a foreign nation kills its own citizens. Yet not only does the U.S. Government sit silently, but its prior statements defending Israel were disgustingly cavalier. Virtually the entire world — literally — vehemently condemned Israel for what it did here, yet the U.S. refused and continues to refuse to do so, notwithstanding these findings that one of its own citizens was essentially murdered. Perhaps most illustrative of all is how inconceivable it is to imagine the U.S. Congress doing anything at all in the face of this report . . . . except passing a Resolution condemning the investigators themselves while defending Israeli actions, including the actions that resulted in the death of an American teenager. Is there any doubt that such a Resolution would pass with overwhelming bipartisan support, approaching unanimity — as happens each and every time there is a controversy involving Israel? Thus far, the U.S. media and Government are largely silent about this U.N. Report, but if they are prodded into responding, the response will almost certainly be to condemn the report itself while defending and justifying Israeli actions even in the face of overwhelming evidence as to what really happened here, which managed to emerge despite the Israelis’ very telling efforts to keep it suppressed. In not unrelated news, a new Gallup survey of numerous Middle Eastern and North African nations finds that public opinion of the U.S. and its political leadership has collapsed back to Bush-era levels. That is consistent with prior polls in the Muslim world finding the same thing. One of the central, stated goals of the Obama campaign and his presidency was improving how that part of the world perceives of the United States, on the ground that widespread anti-American sentiment is what fuels Terrorism and endangers Americans around the world. That effort is clearly failing. In terms of attention and coverage, they’re not even in the same universe. UPDATE II: I neglected to mention that the 47-member U.N. Human Rights Council voted to endorse this report. The vote was 30 in favor, 15 abstentions, and 1 opposed. No prizes are available for those who are able to guess the one nation voting against. UPDATE III: Mark Leon Goldberg notes that he wrote about the U.N. Report yesterday for U.N. Disptach, as did The Washington Post‘s Column Lynch, so there was some limited media coverage. WHY is anyone surprised?! im not surprised…at the zionist actions or the complicit silence of the US govt…its what id expect. Do you really think the US political machine(demotwats and repiblicans) dependent on zionist lobby donations is gong to bite the hand that feeds it?! It is sickeningly obvious that America and Israel are working together, each one egging the other on. Each nation has its own agenda, Israel wanting Greater Israel while America goes about securing the bulk of the Middle East oil via invasion and brutal occupation (which Israel also uses). This despotic, imperialist duo must be toppled before they start WW3. The fate of the world depends on it! I think the author of this blog made the same mistake as the UN’s Human Rights Council that authored the report. Decide in anger who is guilty first. From above: “the fact that it was painfully obvious from the start that the Israelis’ conduct was the behavior of a guilty party” says it all. Blame comes before the facts were clear. The reason the US media didn’t care much for the report is because it wasn’t sensationalist or new, it was just the standard report from the Human Rights Council. Being biased and blaming Israel is normal there. So the report is not influential. This -in part- is about creating home-grown American terrorists in order to justify the massive new federal police force being set up in the U.S. through Homeland Security. This is like Kent State, in that it was an assassination -no doubt planned- and cleared from the highest level inside the White House. Nixon explicitly ordered the Kent State Massacre. Universities all over the country were closed -shuttered for summer vacation months early- as a result. Nixon literally silenced the opposition -by ordering-up his Kent State Massacre. Dope was plentiful in the streets too. No one then would have believed it. But in light of 9-11 and the sure government culpability of that atrocity killing 3000 Americans, killing a handful of students at Kent State in 1970 was no doubt seen as a small price to pay. In contrast 60,000 American died fighting the Vietnam War. Obama is continuing the building of a massive domestic police force that is patrolling every city and town in the country. These sorts of things do not just happen. Obama is going to disband the opposition -just like Nixon did. This is the sort of thinking that comes out of a place like Harvard, the social sciences labs, where plans are viability-proved first on lab rats. I have no doubt people,like Reid, Pelosi, Frank, Obama, Emanuel, Geithner Bernanke and others sat in a room plotting the disbanding of the opposition. These people are asocial, socio-pathic ideologues. They all hate today’s America, free America and especially middle class America. Middle class America is being bludgeoned with this depression, mugged and raped. The government is buying housing for welfare recipients -while foreclosing on middle class Americans, sending them penniless and half naked into the streets to scrounge. This is all very much like Mao’s Cultural Revolution. This is shock and awe on the home front. First the government cultivated grunge, puke and math-use amongst the young. And now it is inflicting massive poverty and cultural debasement. There is no plan. This is just a Stalin-like hatred of complacent and sedentary middle class America. “Run faster, swine!” That is the message of the jack-booted guards today. Glen – You don’t know why the UN Gaza Flotilla report is ignored? With the United States veto power on The UN Security Council we run political cover for the Zionist Murder Machine. It’s that simple. Let me fill you in; it’s really not that hard. 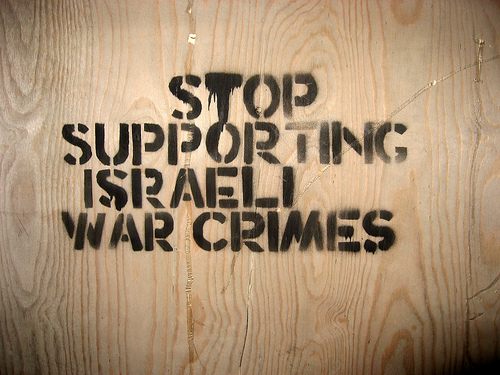 Why are all the other literal crimes against America and the rest of the world by the Zionist Murder Machine Ignored? American’s simply have The Best Whore House AIPAC and the rest of the Jewish lobby can buy, blackmail, threaten and I even think they might have control of a few nukes and control of our nuke aresonal security. You should check out who really runs the security on America’s, American’s Nukes – I don’t think the firms running it are American. How the hell and I do mean hell did that happen? You had better check out the dual passports of many in the “intelligence”, security, government, gansta banksters, military, and the halls of The Whore House”. The “so called Christians” of the totally corrupted “so called Christians’ criminal, criminal collaborators of the Zionist Murder Machine supporters work in collusion with them and between the two they are totally disproportionately represented by thousands. Jewish money comprises at least 40% of the total political money flow. They are only two percent of the population and are now I think 33% or more on your Supreme Court. Glen – Check out the Jewish ownership of the Media. They admit it and just don’t want to loose it. They control the flow of the information that the 4th Estate and The Propaganda Machines of Hollywood and The MSM. It is horrid and disgusting enough that Joseph Goebbels would actually be proud and none are exempt – Period end of discussion. Funny thing about facts, facts – you cannot argue them away. It explains much about the literal criminal activity of that apartheid, racist, parasitic, thieving, murdering country Israel. The sponsors of The Zionist Murder Machine and it is not inflammatory it is the damn truth. They stole our nuke tech., trafficked it, a host of other tech and other espionage with impunity, that whole damn country was founded by Jewish Terrorists and they stole that land from those poor Arabs. They have been lying, stealing, brutalizing, and murdering those poor Palestinians for years now. I am a Christian and Jesus never gave that land back – they simply stole and murdered and lied for it – Period end of discussion. It is a theological discourse on how they have corrupted the theology to fit their criminal agenda. This is not the Second Conquest of Canaan and God will judge accordingly – He always does. This is not loving thy neighbor by a long shot. They treat those poor Arabs worse than I would a damn dog; including children, children! Some of those Jews behave no better than animals and barbarians. Those criminal Jews just want it all. Greater Israel and their real evil expansionist agenda – Check it out. Ask the poor Palestinians they have been brutalizing and stealing from and murdering for years, Lebanon, Iraqi’s they goaded us into that immoral illegal war of aggression over a million innocent, innocent people dead and many more lives ruined. That whole damn country is literally destroyed. All the faulty intelligence supplied by Dr. Strangelove made in – Israel. Ask the innocent in Afghanistan; ask all the innocent, innocent dead in Pakistan. Blown to bits by our cowardly predator drones. who are destroyed by Oceania’s fake never ending war as the immoral, illegal death hunt for the dead boogy man Osama rages on. The United States invaded their country without cause and those poor people pick up a gun and try to repel the mind boggling cruel, terrorizing invading army (ours) and we have the audacity to call them “terrorists”? Never call me Anti Semitic – It is slander and I will not stand for it. You call me Anti Fascist Calling. The entire defense of NATO was compromised from that traitor and hundreds of people lost their lives. Pollard should already be dead if there were justice and he is a hero in that damn criminal country. Those traitors in The Whore House that are pushing for this under the auspices of “saving Arab lives” and the phony “peace talks” – they should be immediately put on trial for treason – Period end of discussion. Never, never negotiate with a terrorist and that is exactly what the country of Israel was founded on by the Jewish – Jewish Terrorist Groups The Stern Gang, Irgun ect. Never negotiate – Period end of discussion. You bring them to their knees. Don’t hold your breath with this bunch of political cowards and whores you will suffocate. Mossad has it’s assassination arm that commits crimes and murder across the globe with impunity, Israel is involved in Afghanistan and the drug trade, Kashmir and it’s brutal inhumanity and oppression to those poor people all over the damn globe in literal murder and other criminal activity with damn impunity. The espionage against us is mind boggling and they just get a plane ticket back home?????????????? 9-11 was Mossad-Al/Cia’da – Period end of discussion. The true murderers of 3,000 of my country men run free and the blood from the ground screams for justice. Justice – That is when they get exactly, exactly what they deserve for stone cold blooded pre meditated murder. – The gallows – Period end of discussion. Their government is simply a criminal syndicate and so is ours. Israel in the past at least had to try to hide the literal murder of American’s; ask the survivors of the Liberty. Now the cold blooded assignation of a poor unarmed defenseless 19yr. old American peace activist is out in the open and they do nothing. This ends – Time it is on my side. Hand a copy to Nettynutty and the head of Mossad and every member of the Whore House On The Potomac for me – OK. There in reality is zero other option. We’re all Palestinians for now. What needs to be done is not to blame countries and their policies but to target the political and business and of course the religious leaders and the military leaders for removal using the very methods that they employ. The directors and major share holders of corporations such as B.P. for instance, have never been put in the dangerous and life threatning positions such as the New Orleans blowout. The political leaders that abandoned New Orleans after Katrina need to pay up, with their and their families lives, just as did the victims!